The Middle Atlantic C5K3-D-TSD-EA Finishing Kit for Deeper C5 Series A/V Credenza Rack is designed for use with the C5F3-D frame model. 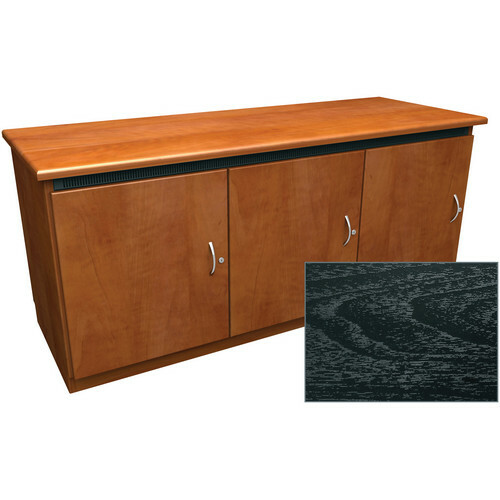 It features 3 bays with solid doors and comes in ebony ash color. It bears a traditional style design and allows for quick and easy replacement of the panels. Box Dimensions (LxWxH) 73.0 x 36.0 x 13.0"